Newmarket Holidays have been in business since 1983, putting together holidays with a difference, which represent excellent value-for-money each and every time. In 2013, Newmarket Holidays have a special festive new addition to the portfolio which will astound and delight children across the UK. As part of the Day Trips by Air catalogue, a visit to Lapland to meet the real Santa Claus is available on selected dates throughout December, from a variety of UK airports. The Lapland adventure begins with flights from the customer’s chosen airport early in the morning on the selected date, landing in Pajala in Swedish Lapland. On board children and adults alike can take advantage of the in-flight catering, which is included in the price of the trip, while looking out of the window for the first glimpse of the winter wonderland destination. Upon arrival, all travellers are fitted with protective thermal clothing to cope with the sub-zero temperatures before being transferred to the beginning of the secret path through the forest, which leads to Santa’s very own log cabin. Here children are able to meet the real Santa Claus and receive an early Christmas gift. While this is, of course, the highlight of the day, the fun does not stop here. Also included in the price of the Lapland trip are two exciting sleigh rides, one husky-drawn and one with Santa’s very own reindeer leading the way. A high-powered snowmobile ride awaits the thrill-seekers and there are opportunities for toboggan rides, snowball fights and snowman building. A two-course hot lunch is served during the day and tea, coffee and hot chocolate are available to warm up cold hands. The traditionally dressed Sami hosts are on hand at all times. This festive adventure will prove to be the trip of a lifetime for young children everywhere. All activities, transport and catering are included in the quoted price, and early booking means that for every adult traveller a child goes half-price. This entry was posted in Affordable Getaway, Best Customer Service, Best Holiday Company to the USA, Holiday, holiday experience, Newmarket Group, Newmarket Holidays, newmarket holidays lapland, newmarket holidays manage my booking, newmarket holidays new year breaks and tagged Affordable Getaway, best holiday options, Christmas holidays, Lapland Christmas Day Trip, meet the real Santa Claus, Newmarket Holidays, newmarket holidays cruises, newmarket holidays italy, newmarket holidays paris, newmarket holidays short breaks, UK travellers on December 2, 2013 by Editor. Newmarket Holidays offers a range of interesting and good-value holiday options for British customers. The full selection of holidays offered by the company can be viewed on the Newmarket Holidays website, www.newmarketholidays.co.uk . The products on offer from Newmarket Holidays range from short breaks to locations in the United Kingdom, through to long-haul air holidays to North America and the Far East. All holidays, tours and breaks have specific departure dates. The departure dates for specific holidays are detailed on the website. Many holidays offered by Newmarket Holidays are specific to certain seasons, one-off or annual events. Examples include a number of Remembrance Tours that enable customers to mark Remembrance Day at those locations that have special military significance. Another less poignant example is the range of Christmas-themed holidays offered by Newmarket Holidays. A number of holiday options offered by Newmarket Holidays offer customers the opportunity to get into the ‘Christmas spirit’ in the weeks preceding the big day itself. 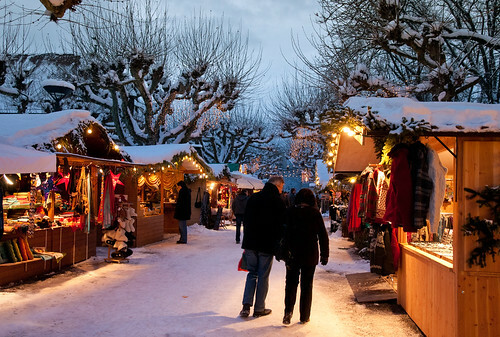 One such example is the holiday to the Lille and Bruges Christmas Markets. The relatively short distance between these two Northern European cities means that customers can visit both locations within the space of a two-day/one-night holiday from Newmarket Holidays. The holiday comes with the services of a Newmarket Holidays Tour Manager, and includes one night’s bed and breakfast accommodation at a comfortable hotel close to Lille. 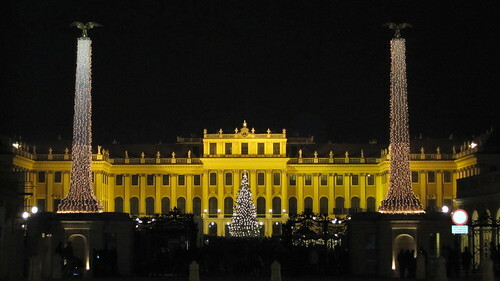 Newmarket Holidays also offers customers the opportunity to spend Christmas abroad at a suitably atmospheric location. Holidays that are available include journeys to Lake Constance, the French Riviera and the Black Forest. One good example of what Newmarket Holidays offers in the festive niche is the ‘Christmas in Austria, Salzburg and the Austrian Lakes’ tour. This is a seven-day holiday featuring a tour of Salzburg, a visit to the Salzkammergut lakes region and an optional excursion to Bavaria. Christmas Day lunch and dinner is also included in the holiday. As is the case for all holidays offered by Newmarket Holidays, this trip features set departure dates. There are however a large number of departure pick-up points across the country. For example, if a customer wishes to join this particular holiday and is travelling from Cambridgeshire, it is possible to be picked up from specified locations in Cambridge, Ely, Huntingdon, Peterborough, St Neots or Wisbech. Customers specify their preferred pick-up point during the booking process. This entry was posted in Newmarket Holidays and tagged Christmas holidays, Newmarket Holidays on August 13, 2013 by Editor.